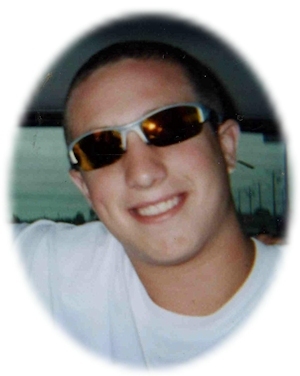 Obituary – Forman, Dillon McCaul « Perry High School Alumni Association, Inc.
Dillon M. Forman, 18, of Perry, Oklahoma was the son of Darrin Ray and Darala Gene Becker Forman. He was born June 18, 1989 at Stillwater, Oklahoma and died Thursday, January 31, 2008 at Mercy Hospital in Oklahoma City, Oklahoma. Dillon, whose nicknames were Farmer Dill and Pickle, loved to camp with his Grandpa Jack. He also enjoyed riding three-wheelers with his Grandpa Calvin. He was an avid outdoorsman who enjoyed fishing and hunting. He never met a stranger and liked to hang out with his friends. Funeral services will be at 2:00 p.m. Thursday, February 7, 2008 at the First Baptist Church in Perry. Brother Aaron Summers will officiate. Interment will be in Grace Hill Cemetery at Perry. Services are under the direction of Brown-Dugger Funeral Home of Perry. A family visitation will be held from 6:00-8:00 p.m. Wednesday, February 6, 2008 at Brown-Dugger Funeral Home. Memorials may be made to the Baptist Boys Home in care of Brown-Dugger Funeral Home, 1010 N. 7th Street, Perry, Oklahoma 73077. Dillon is survived by his mother, Darala Lewis, of Perry, Oklahoma; his maternal grandparents, Judy and Richard Conley, of Davenport, Oklahoma; paternal grandparents, Cheryle and Calvin Leach, of Mulhall, Oklahoma and Paul Ray Forman, of Perry, Oklahoma; one brother, Logan Lewis, of Perry, Oklahoma; two aunts, Shana Hogan and her husband, Troy, of Perry, Oklahoma and Deidra Forman, of Mulhall, Oklahoma; and three cousins, Denton Sullivan, of Perry, Oklahoma, Candice Hogan, of Geary, Oklahoma and Mason Stewart, of Enid, Oklahoma. He was preceded in death by his father, Darrin Forman; his maternal grandfather, Jack Becker; and one uncle, Damon Forman.